They are one of the most popular summer destinations in the Mediterranean and yet there is still always something new to discover or some hidden cove that promises delicious solitude. 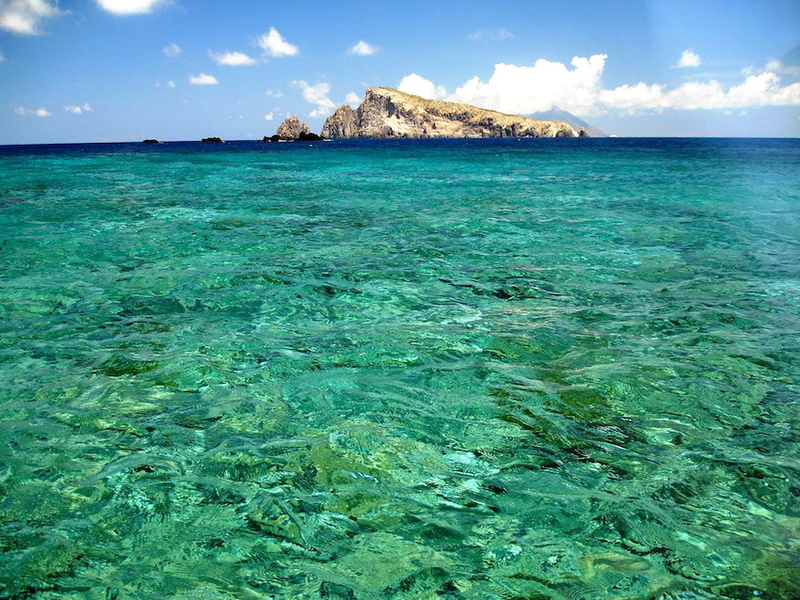 All you need is the right skipper on your Aeolian Islands yacht charter. Someone like Francesco Rinauro, the captain of the catamaran Kaskazi Four, who Equinoxe Yachts suggests as your personal guide to sailing the Aeolian Islands. “The climate’s delicate; the air most sweet. Fertile the isle, the temple much surpassing. The common praise it bears,” waxed William Shakespeare of Sicily and the surrounding islands. 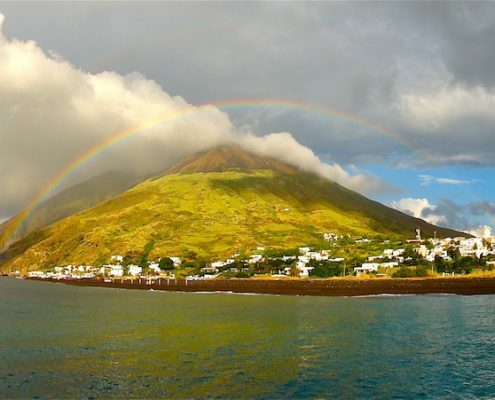 But the Bard was not their only illustrious fan – Homer wrote extensively about them in his Odyssey while Jules Verne chose Stromboli as the setting for the finale of Voyage to the Centre of the Earth. Roberto Rossellini shot the classic Italian neorealist film Stromboli on the Island with Ingrid Bergman too. 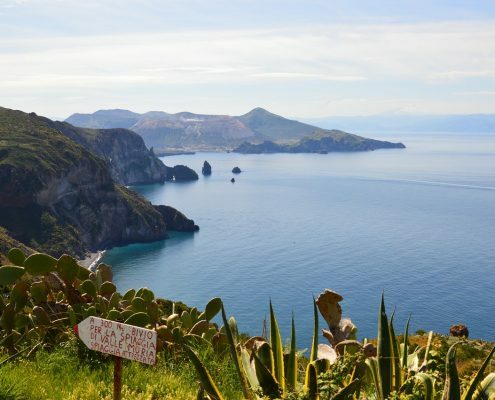 Lipari, Vulcano, Panarea, Stromboli, Salina, Filicudi and Alicudi: seven magical islands everyone should visit at least one in a lifetime (though once will never feel enough). 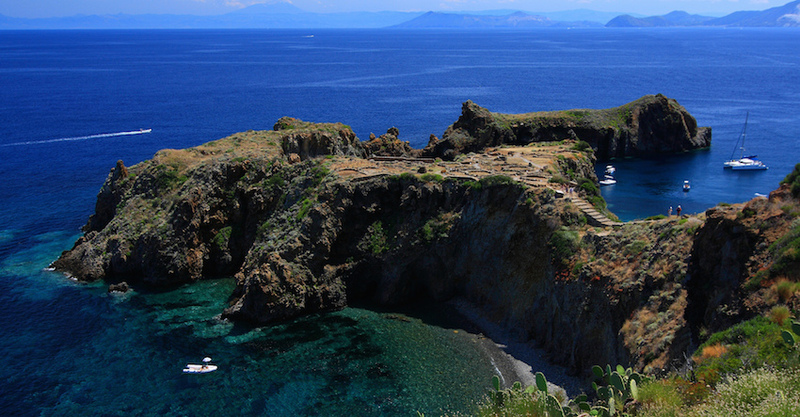 Sailing the Aeolian Islands is, of course, the best way to see them. 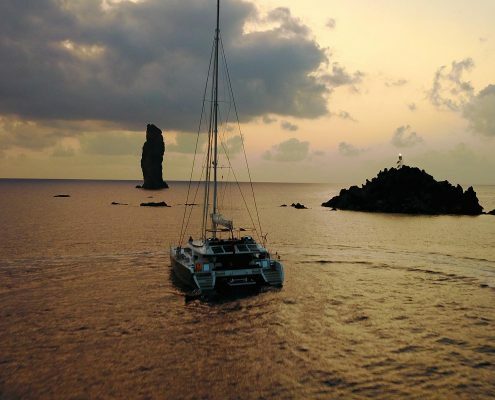 Although there are many different kinds of boats to choose from for your Aeolian Islands charter, we would strongly advise a catamaran as these craft are exceptionally stable, broad in the beam and have very generous communal living areas. This makes them perfectly suited to the volcanic islands which have sheer cliffs, not many bays and very few actual ports. In fact, most of the time you will be anchoring in a roadstead. Once again catamarans are ideal as they don’t pitch and roll with the waves. The Lagoon 620 Kaskazi Four, in particular, has a beam of 10 metres, five two-berth cabins and amenities superior to a conventional yacht of the same dimensions (a RIB tender with 60 hp outboard engine, snorkelling gear, paddle boards, deep sea fishing gear, a canoe and water skis). Most importantly of all, however, her superb crew knows the area extremely well and handpicks itineraries and stop-offs individually to suit their guests’ tastes and requirements. This detail is what makes Kaskazi Four the perfect charter yacht for sailing the Aeolian Islands. Captain Francesco Rinauro has lived and sailed in the archipelago for over 30 years and knows every corner of it. He has had a great love of the UNESCO World Heritage Site Islands since he was a small boy. His abiding passion for the sea, sailing, nature and geology was passed down to him from his science teacher mother, his naval engineer and geologist father, and a grandfather who was a captain in the Italian Navy. In a nutshell, Francesco knows every rock on the islands and exactly which part of this little corner of heaven on earth it’s best to be in at any particular time of day. But being a curious kind of guy, he is always on the lookout for new things to do and see. That means the itineraries he suggests are ever-changing and never stereotypical charter fare. He is also careful to ensure that they are crafted around his guests’ interests. In fact, Francesco, his brother and co-skipper Renato and the onboard chef Nadyia pull out all the stops to treat their guests to several cruises in one. Francesco’s ideas and suggestions are unique, authentic and also respect the traditions of the area. Below are three sample itineraries put together by Francesco Rinauro. 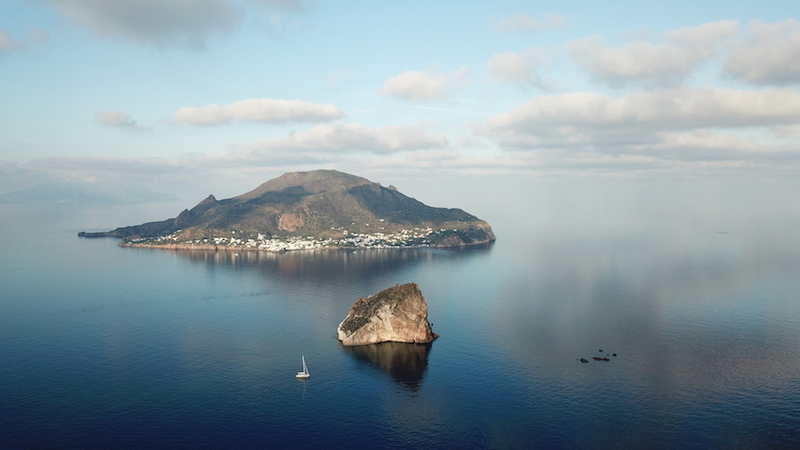 Evidence of the earliest human settlements on the Aeolian Islands dates back more than 7,000 years and there are traces of the past quite literally everywhere you look. 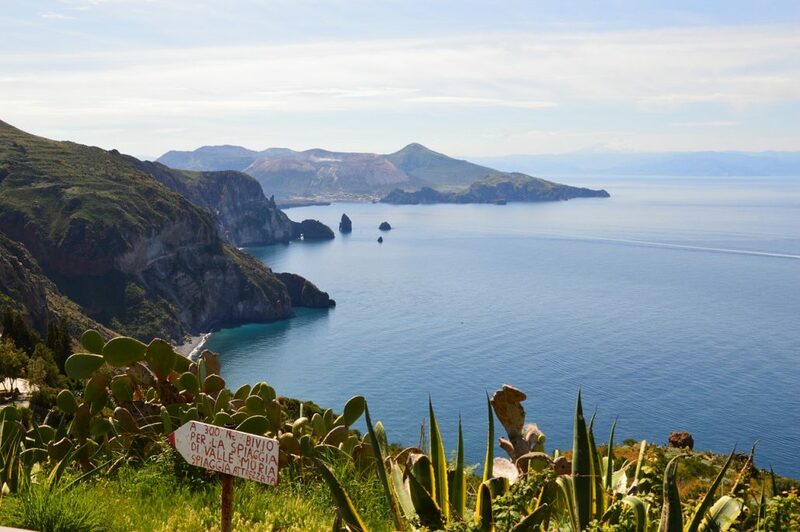 A good place to start is Lipari’s Museo Archeologico Luigi Bernabo Brea which sits atop the island’s enormous “Castello” rhyolite rock and has five sections packed with fascinating exhibits spanning the spectrum from the Neolithic age to the classical era and also more recent times. 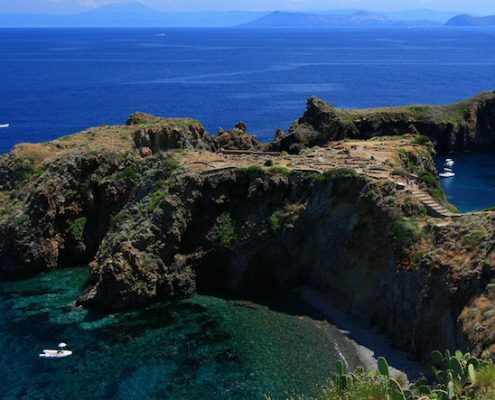 It is one of the Mediterranean’s most important museums and a visit to it a great way of immersing yourself in the archipelago’s history as it will give you a fabulous overview of the kind history you will encounter on your Aeolian Islands’ charter. 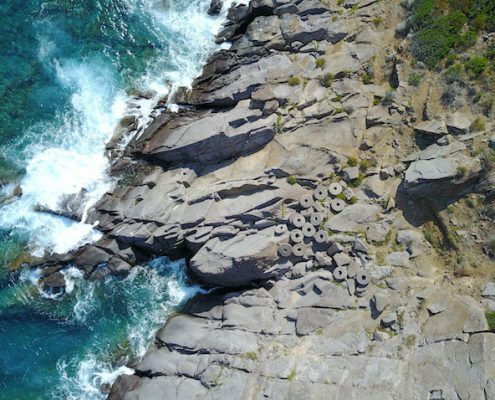 One example of the amazing historic sites you’ll encounter as you are sailing the Aeolian Islands is the prehistoric village of Capo Milazzese near the Cala Junco inlet on Panarea. Even the walk to ruins is stunning taking you through the lovely Mediterranean maquis with breathtaking views from the path as it winds its way up the steep, jagged promontory. 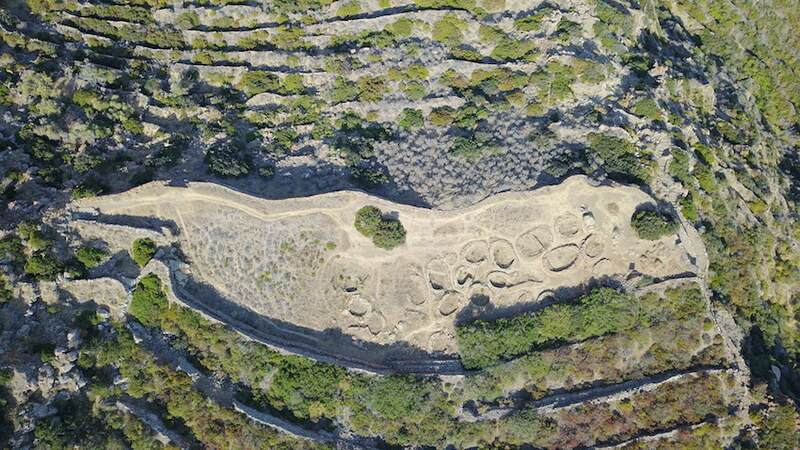 The Bronze Age settlement was made up of 23 dwellings of which only the oval foundations survive. Excavations unearthed Minoan-influenced ceramics and tools and these are now in the Lipari Museum. 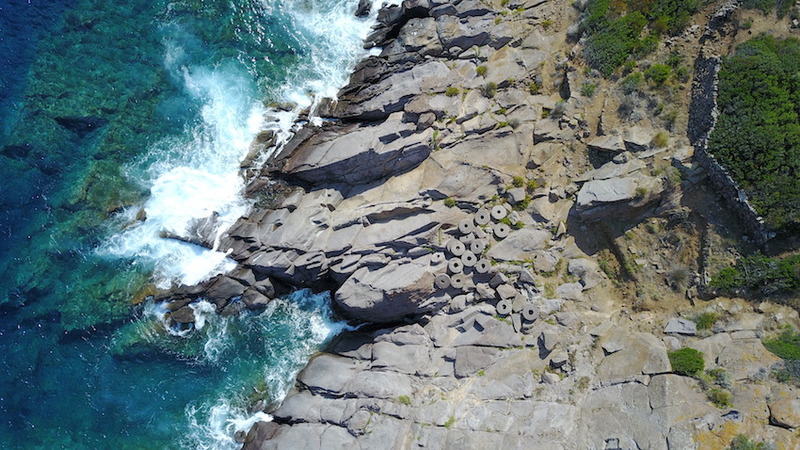 Also well worth a visit is the prehistoric village at Capo Graziano on Filicudi where there are ruins of 27 circular dwellings dating back to the Bronze Age, millstones for grinding grain and a well once used to collect rainwater. 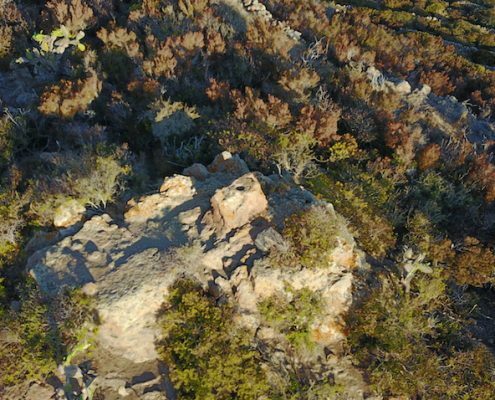 Even more intriguingly, a little higher up than the village and hidden away in the brush, is a well-preserved sacrificial altar in which a groove for the sacrificial animal’s neck and a channel for its blood are still clearly visible today. 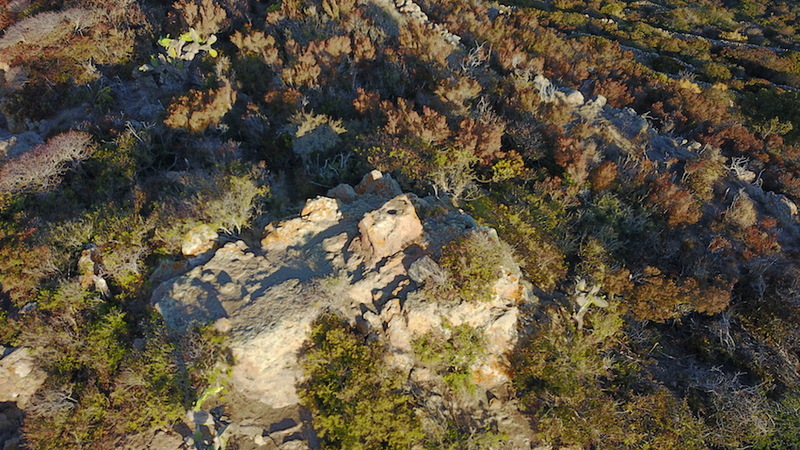 A site well worth the climb up beyond the excavations. 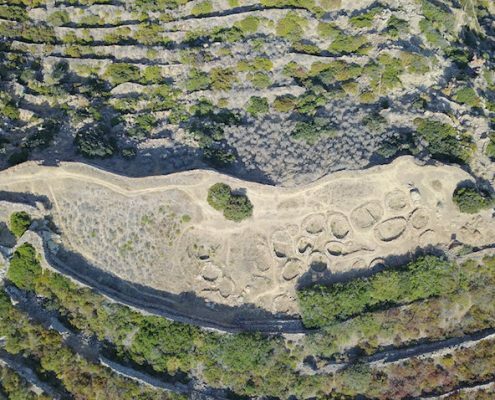 Lastly, fans of “modern” archaeology won’t want to miss a visit to the Lipari pumice quarries where you can still see the old abandoned works. 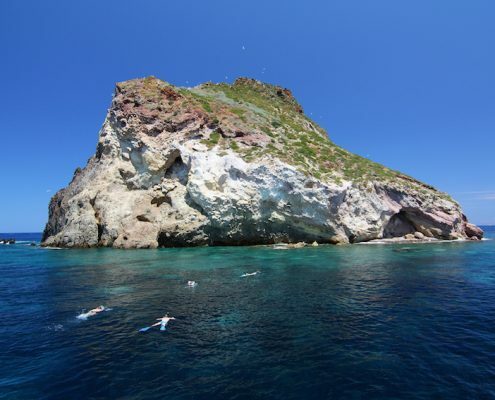 The Aeolians are also a paradise for divers and snorkelling fans. 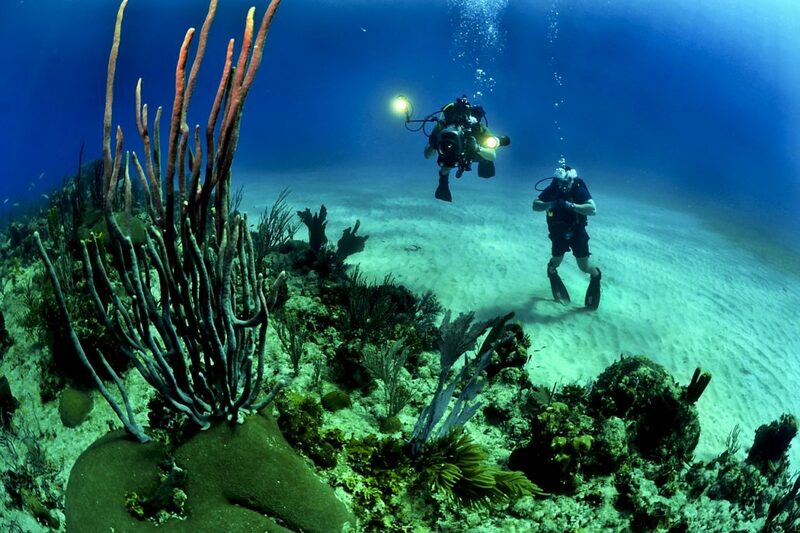 Their waters are teeming with fish and also ancient submerged ruins, making them a much-sought-after destination. 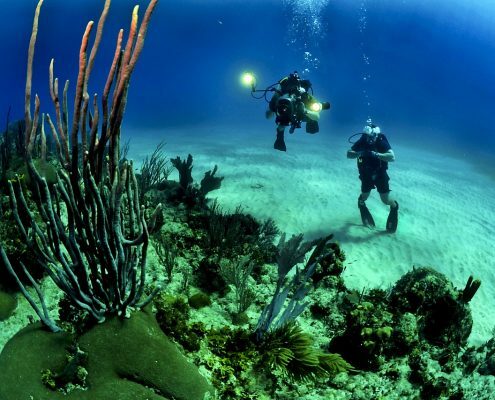 There are two dive sites in particular you simply can’t leave without experiencing. The first is Strombolicchio off Stromboli, a volcanic neck (a kind of plug of magma that emerges after a volcano cone erodes, ed.’s note) with vertiginously steep 50-metre walls jutting out of the sea. The solidified magma is a whitish colour and is set in water that is incredibly clear so you can see the sea floor on the one hand and on the other a wall of rock that seems to tumble 3,000 metres into the depths, making it a magical dive site. 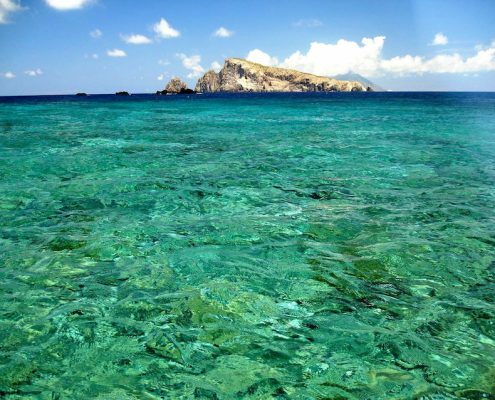 Francesco Rinauro loves snorkelling his way right around it with his guests as they will often encounter wonderful shoals of tuna, gropers, white seabream, gilt-head bream and even barracudas. If you happen to find yourself off Panarea, then you’ll have to dive to the wreck of a 19th century steam ship – its tanks are still visible. Sticking on the subject of archaeology, you should also dive in the waters at Basiluzzo to see the submerged remains of Roman era port buildings and warehouses. 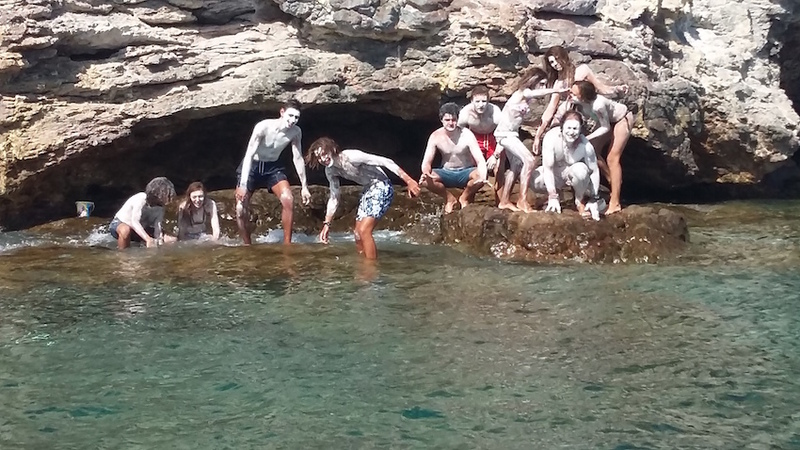 In the Grotta dei Gamberi area of Filicudi you can also book ahead (the captain will do this for you given sufficient advance warning) to dive the wrecks of roman ships still with amphorae in their holds. 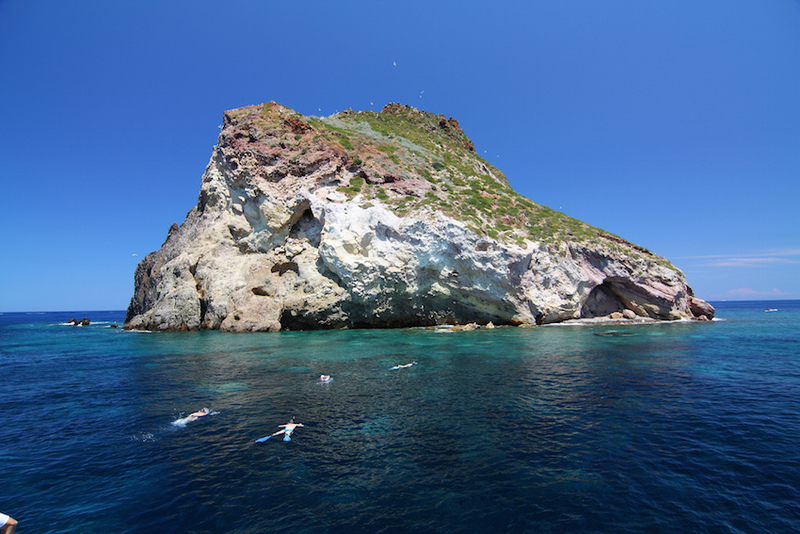 The diving around the little island of Liscia Bianca near Panarea is spectacular too, of course. The waters off the china clay quarry have submerged hot springs which have created an underwater fairytale complete with wonderful colours, bubbles and bright, darting fish. 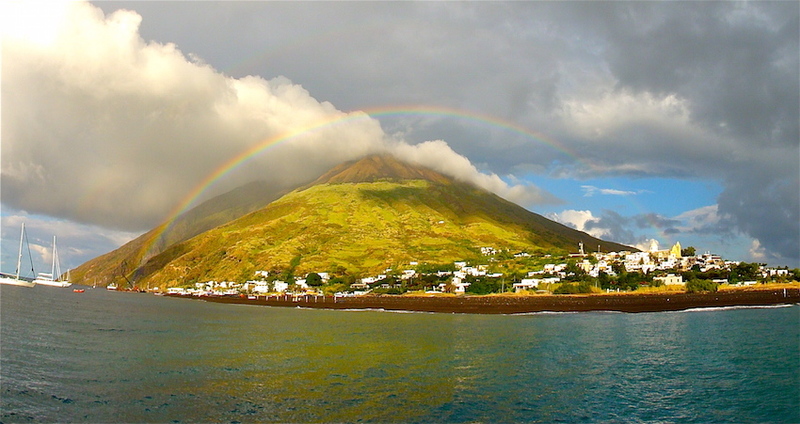 Another dive for the bucket list can be fitted in as you sail from Salina to Panarea. 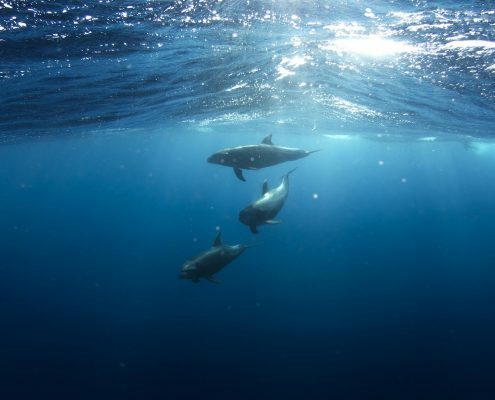 This is to Secca del Capo, a submerged volcanic structure where you’ll get to swim through shoals of greater amberjacks and, with a little luck, dolphins. 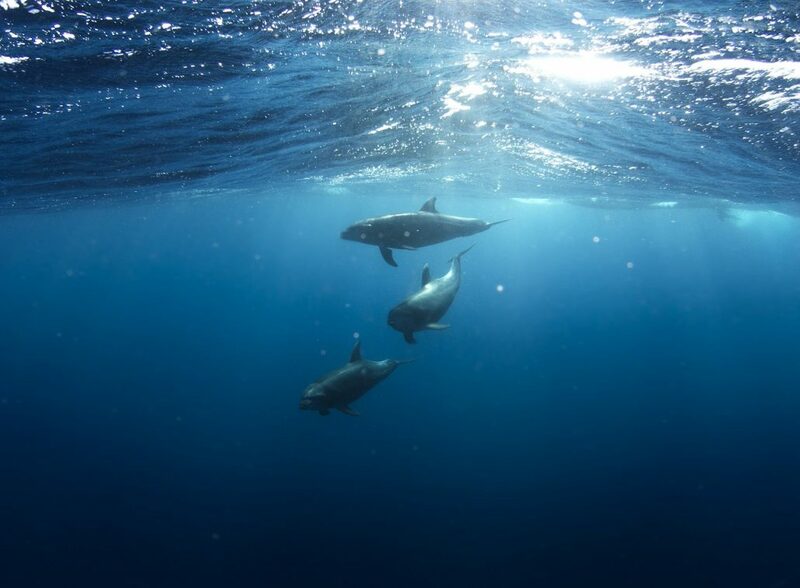 A marvellous experience – straight out of a Jacques Cousteau documentary. 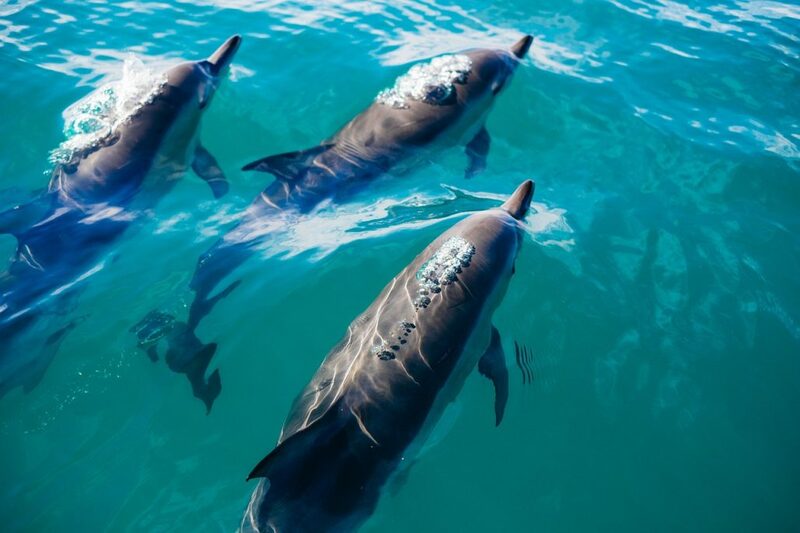 Kaskazi Four’s lucky guests also have the very special opportunity to book guided dives from one of the local diving centres. 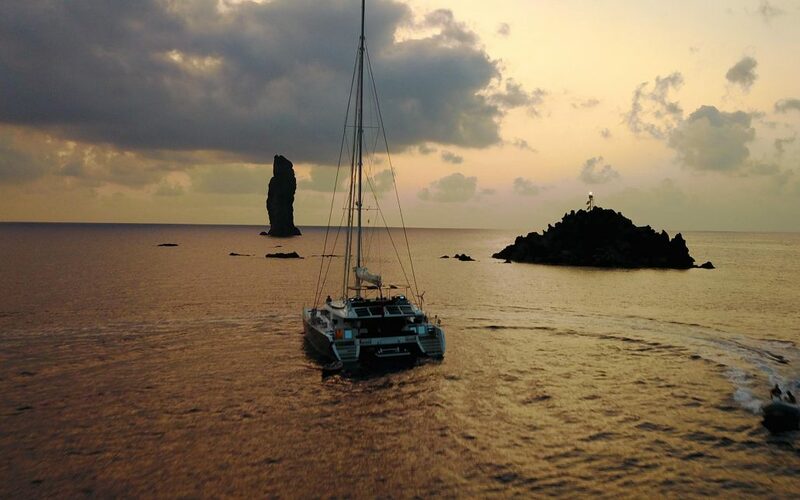 A boat will come out to the catamaran with all the equipment you’ll need for a genuine underwater excursion with specialist instructions – and accompanied, of course, by Francesco Rinauro. 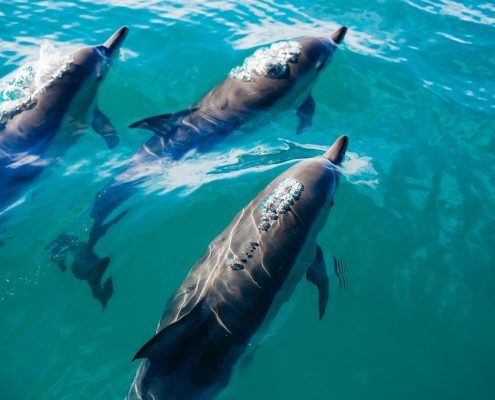 What could be more luxurious than a charter cruise that combines the beauty of nature with a good dollop of wellness thrown in for good measure. 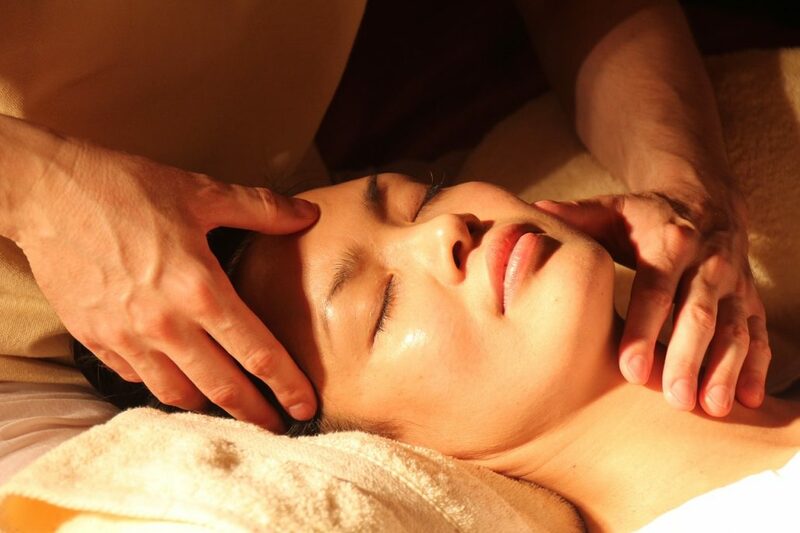 This is all part of the deal aboard Kaskazi Four where anything is possible: you can even combine a macrobiotic diet tailored around your needs by chef Nadyia with a programme of massages, acupuncture and yoga lessons aboard. Captain Francesco will also whisk you off to wonderfully remoted, deserted bays and beaches where you’ll enjoy spa experiences a million miles from the usual packages. 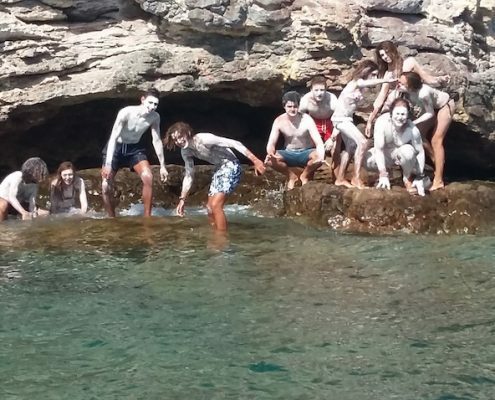 On Vulcano, for instance, rather than giving his guests the usual mud bath experience, Francesco prefers to take them to a little island dotted with gorgeous little caves where they can swim in hot thermal springs. Rinauro’s favourite place on Panarea, however, is Liscia Bianca, where there is a kaolin quarry. This wonderfully soft white clay has an almost soapy feel and is widely used for making china. It is also renowned for its health-giving properties – it is particularly good for the skin which it leaves silky soft and smooth. Francesco will take you off to the beach equipped with shovels and bottles of water so you can make up a very natural clay paste to smear all over your body. Once your “body mask” has dried off, you simply dive into the sea to rinse off and swim out to the nearby underwater hots springs for a natural hot tub experience!